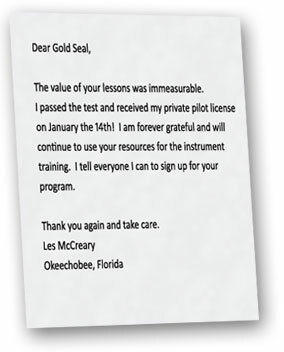 The Gold Seal Online Ground School was founded in 2006 by aerospace author and Master CFI Russell Still. It is owned and operated by Atlanta Flight, Inc. located at the Gwinnett County Airport in metropolitan Atlanta, Georgia. Since its inception over 70,000 students and pilots have registered.